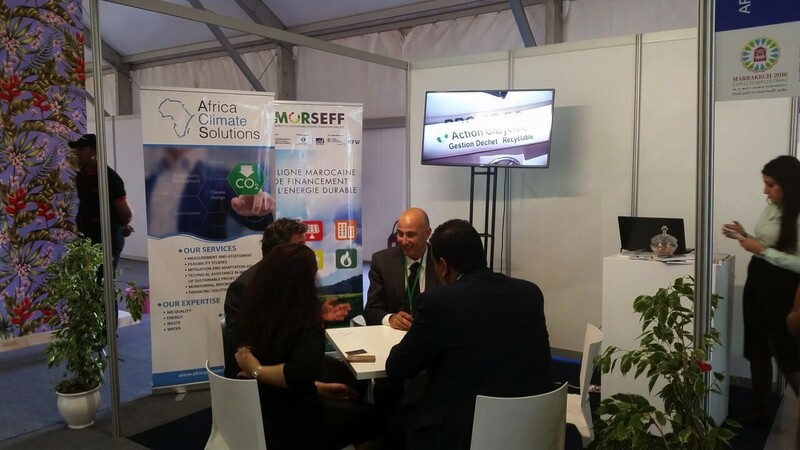 MorSEFF is a 110 million euros credit facility dedicated to financing energy efficiency and small-scale renewable energy investments of private companies in Morocco. Bank financing, free technical assistance and investment incentives are bundled into one unique package dedicated to financing investments leading to better quality equipment, reduced operating costs and improved competitiveness. The program was developed by the European Bank for Reconstruction and Development (EBRD), in cooperation with the European Investment Bank (EIB), the Agence Française de Développement (AFD), and the Kreditanstalt für Wiederaufbau (KfW). 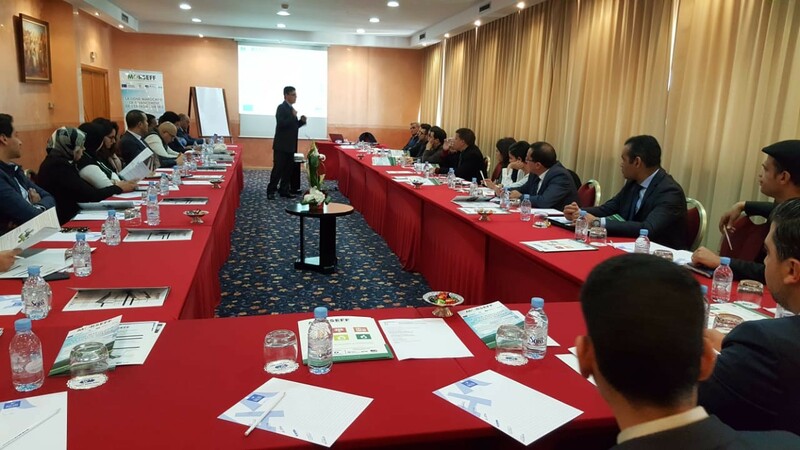 ACS engineers provided training on green buildings in Morocco during the seminar organized by MorSEFF which was under the theme “Energy Efficiency in the Building and Industry sectors”. 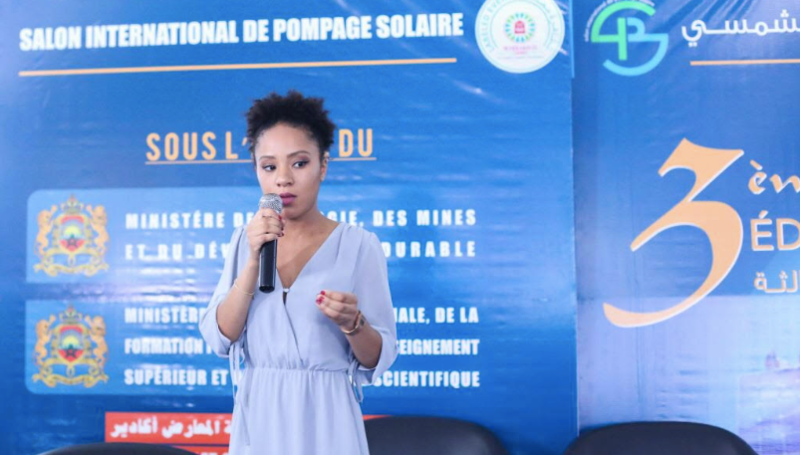 The third edition of the ‘Salon International de Pompage Solaire’ was a key indicator to the success of the previous editions which reflected the companies’ growing interest for solar pumping. It was the place by default where expertise in pumping water systems, solar energy technologies and irrigation technologies was exchanged. The salon aimed to answer a real need in terms of sustainable development and represented an opportunity to come up with solutions to the problem of defective resource management. During this 3rd edition of the International Solar Pumping Exhibition under the theme "Climate Change Management through the Development of Solar Pumping", ACS team participated in a conference programmed by GIZ which aimed to provide farmers with key elements of financing opportunities in order to develop clean energy projects in agriculture, to enable small and medium-sized farmers to improve their yield and productivity while saving water and energy, and to sustain economic and social development. 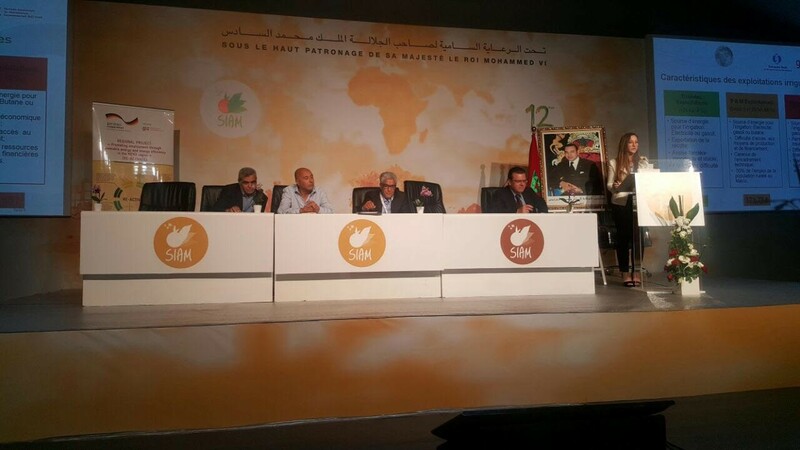 SIAM “SALON INTERNATIONAL DE L’AGRICULTURE AU MAROC” aims to be the promoter of the “Plan Maroc Vert”, Thanks to SIAM, the sector has achieved exponential growth and considerable investments were done. Through presentations and round-tables, Mrs. Lahlou (Engineer at ACS) and Mr. Alaoui (Managing director at ACS) have discussed a benchmarking of the potential solar pumping projects in Morocco and existing financing mechanisms. The 2016 United Nations Climate Change Conference was an international meeting of political leaders and activists to discuss environmental issues. 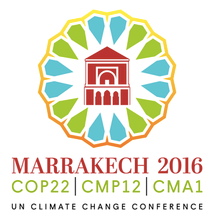 The conference incorporated the twenty-second Conference of the Parties (COP22), the twelfth meeting of the parties for the Kyoto Protocol (CMP12), and the first meeting of the parties for the Paris Agreement (CMA1). The purpose of the conference was to discuss and implement plans about combatting climate change and to exhibit to the world that the implementation of the Paris Agreement is underway. Participants worked together to come up with global solutions to climate change. ACS was present at COP22 where it presented the company to the public. During the COP22, the organism MASEN invited the participants to present their companies and their united effort to achieve sustainable development goals. MASEN was previously named as the Moroccan Agency for Solar Energy, but is now known as the Moroccan Agency for Sustainable Energy. 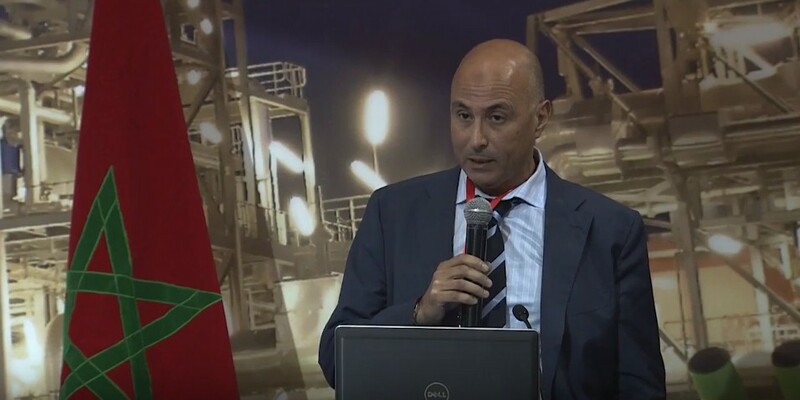 In the picture below, Mr. Alaoui is presenting some financing opportunities existing in Morocco that could help concretize sustainable energy projects and thus achieve national goals.